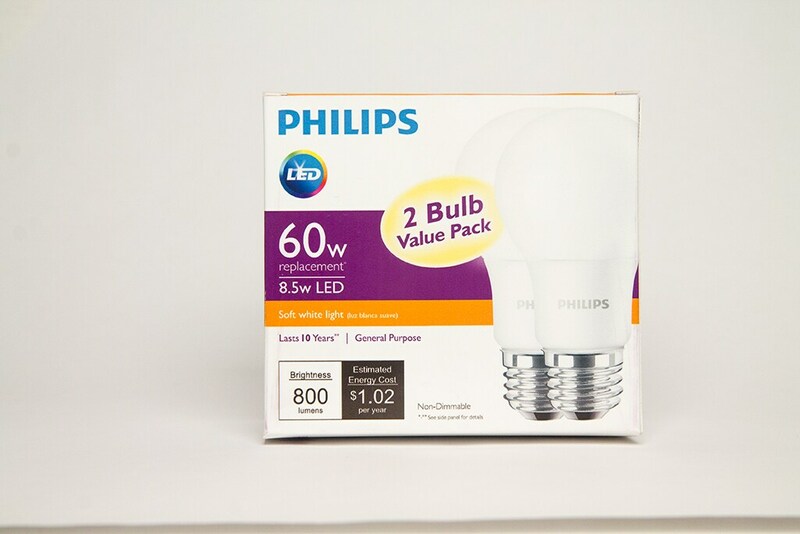 Somerset, NJ – Philips (NYSE: PHG; AEX: PHIA), the global leader in lighting, has once again partnered with The Home Depot to set the standard for LED bulb affordability with the new Philips LED family of products. 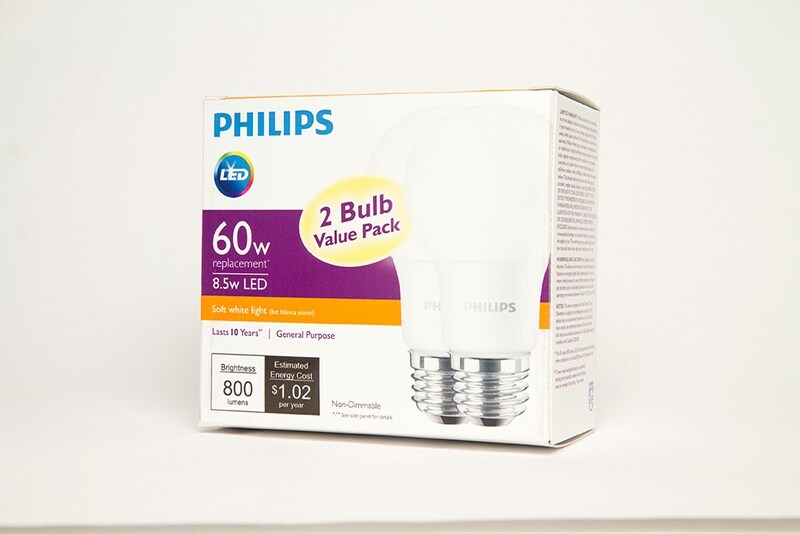 The Philips LED A19 product line will be introduced with a 60-watt LED equivalent bulb that costs just $4.97 without utility rebates, making it the most affordable 60-watt LED bulb on the market. 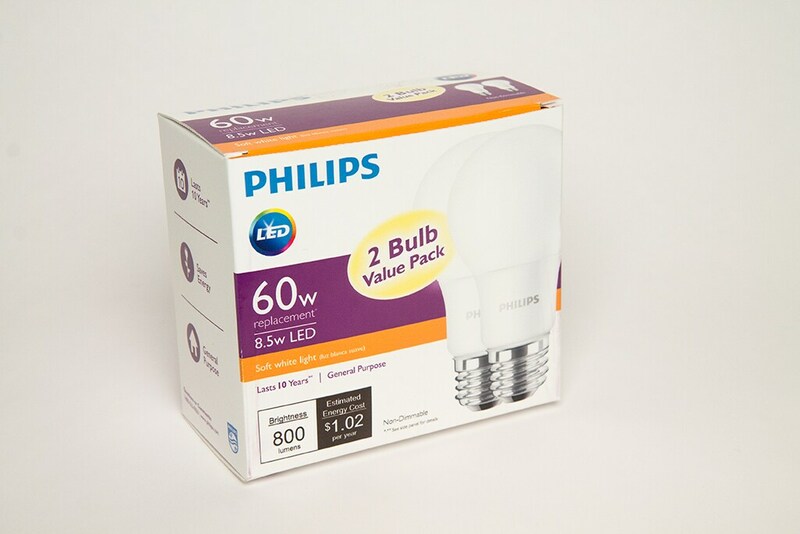 The Philips LED bulb uses just 8.5 watts of power and as an added bonus for consumers, the bulb will be introduced at The Home Depot the beginning of May in a two-for-one pack for the first 90 days, or while supplies last and is available online now at www.homedepot.com. While energy-efficient LEDs have become more affordable, the typical American home has more than 50 sockets, prompting consumers to use the technology in more trafficked areas of the home such as living rooms, kitchens and bedrooms. With the introduction of the Philips LED bulb and its new price point, consumers can use LEDs in more areas of the home such as hallways, closets and laundry rooms. Moreover, the Philips LED bulb offers a shatter-resistant design that makes it more attractive than other, less durable bulbs. Over the 10-year life of a Philips LED, the 60-watt equivalent will cost just $1.02 per year to run, saving $62 over the life of the bulb, as compared to a traditional incandescent. In addition to a 60-watt equivalent that is available in a 2700k warm white and puts out 800 lumens, the bulb will be available in 60-watt daylight 5000k, and 100-watt A19 LED equivalents. Unlike other 100-watt LED bulbs which are a larger A21 size, the new Philips LED bulb 100-watt is a true A19 equivalent. Philips LED bulb joins an industry leading portfolio that includes Philips Hue, the world’s leading connected lighting system for the. From the innovative design of SlimStyle to the optics of Clear Bulb with DiamondSpark, Philips has been at the forefront of LED technology, offering the most advanced and broadest range of bulbs on the market to suit any design aesthetic. With superior light quality and supporting the most popular fixture types, Philips LED products continue to usher in a new era in lighting.